MBARARA – Police in Mbarara District are holding two traditional healers over allegations of kidnapping a 13-year-old pupil of Nyakambu Junior Primary School in Sheema district. 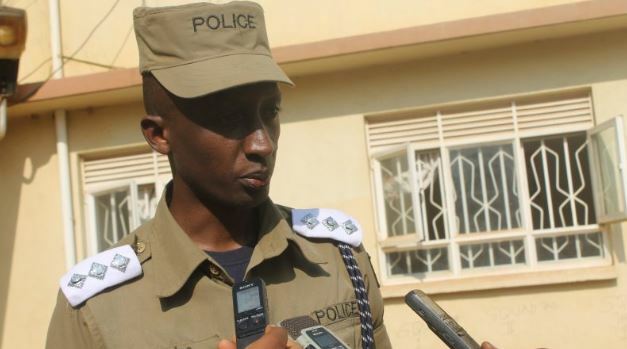 Rwizi Region police spokesperson Samson Kasasira said on Wednesday that the suspects intercepted Arod Sserwanga 13, on his way to school on September 4 and took him to Kyotera district. He identified the suspects as Augustine Ssempinja, 27, and John Kasato John 20, all residents of Kyakudusi village, Kasari Sub County. The child later escaped from the traditional healers’ home and returned home in Mbarara on December 2. He helped police trace the kidnappers and were arrested on December 4 by police in Masaka and transferred to Mbarara. Mr Kasasira said they will be produced in court after investigation. This comes after the chairman of Uganda Parliamentary Forum for Children and Ayivu County MP Bernard Atiku has prepared a Private Members Bill seeking to regulate traditional healers and ban witchdoctors in a bid to address issues of human sacrifice and other harmful practices. Speaking during a consultative meeting at Imperial Royale Hotel in Kampala yesterday, Mr Atiku said from the consultations carried out in four districts of Busia, Nakasongola, Rakia and Buikwe, people called for a ban of witchcraft and shrines in the country which they said is a major cause of child sacrifice. He said the views have been included in the provisions of the bill. “If you are to follow cases that concern human sacrifice in this country, all of them have been associated with witchcraft and shrines serve as a place where people go to consult witchdoctors or they are used to slaughter children,” Mr Atiku said. He said there is need for a law that either bans witchcraft or the use of shrines for the purposes of ritual practice in order to check the rampant child sacrifice. “There are fears that attempting to ban shrines might violate people’s freedom of worship but if it’s a religious shrine, there must be standards,” Mr Atiku charged. However, some local leaders said there should be a clear distinction between traditional healers, herbalists and witchdoctors. They also called for a clear definition of witchcraft to ease monitoring.